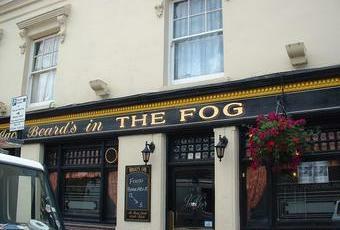 Loved this pub! I went here a couple of months back while doing some family history (Grandfather was born in Groton Rd) Nice old fashioned pub atmosphere with good beer, and made to feel very welcome by the locals. Please keep doing, what you are doing. Quality proper pub. Even a 1970s looking lounge and a guy at the bar in overalls talking to everyone about sport. Can't beat that, great place. 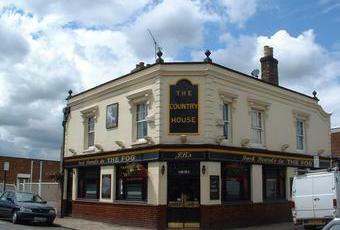 This pub still retains its 3-bar format. The Private Bar is not connected to the other two. But the Meal Room (a new one on me) is connected to the Public Bar by an archway, with the former being used as a pool room, with one table. There�s a dartboard as well as a pinball machine (Spiderman) in the Public Bar. Ales on were Young�s Bitter and London Pride; I had the London Pride (at �2.90 a pint) which was not particularly good, although drinkable. This struck me as very much a locals� drinking pub. Not the sort of place you go to for a taste of comfort. I didn�t venture into the Private Bar, but the Public Bar only had a couple of tables and a few stools. This is very much a basic backstreet boozer (although it�s very visible from the trains on the Waterloo line). The clientele were a bit basic as well � workers from a local builders by the look of them � but this is an observation, not a criticism! Worth dropping in to see the sort of boozer that was commonplace 30 to 40 years ago, but I don�t feel any great compulsion to return.